Well known as the creator of the internationally acclaimed SURFER Magazine, John grew up surfing off the beaches of Southern California. 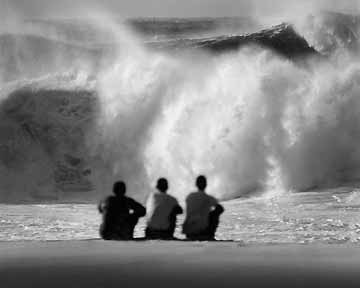 He began shooting surf pictures in 1950 when he saved a Brownie from the trash and began a hobby that turned into a career in publishing. As a painter in the '50s, he became the first person to create a large body of art relating to the Hawaii-California surf culture. Since then he has provided a steady output of photos, oil paintings, watercolors, drawings and prints. In 1958, John used his art, photography, and surfing passion to create a popular surf movie series. His films included SURF SAFARI, SURF FEVER, BIG WEDNESDAY, and PACIFIC VIBRATIONS. The posters were smash hits in the '50s and '60s and remain collector favorites. 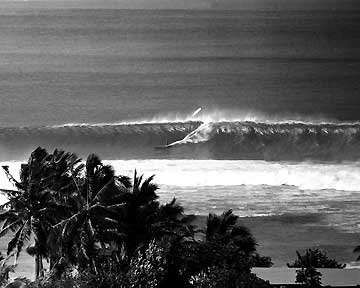 As a surfer, Severson was known for riding big waves, and for his innovative performance style in big surf. 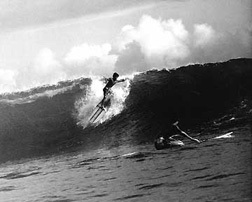 In 1961, he won the Peru International Surfing Championships and was a finalist in the U.S. and Hawaiian Championships. 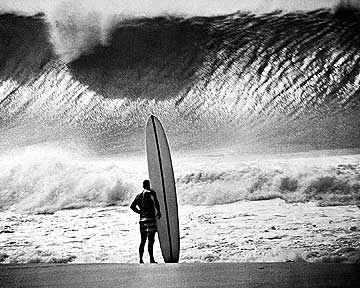 In the sixties, Severson was a featured surf photographer in the Sports Illustrated Man In Sport exhibit in New York. 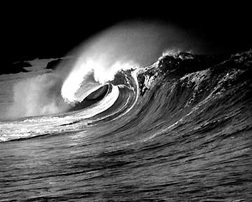 His work has appeared in LIFE, SPORTS ILLUSTRATED, PARIS MATCH, GERMAN STERN, and innumerable surf publication covers. 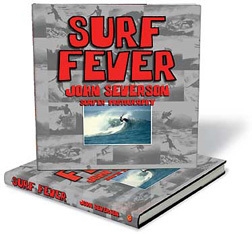 John Severson was voted into the Surfing Hall of Fame in 1993, the Walk of Fame at Huntington Beach in 1995, and given a lifetime achievement award by the Surf Industry Manufacturers' Association as Waterman of the Year in 1997. 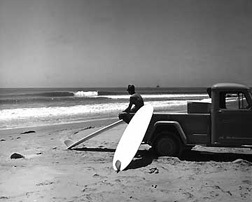 He authored two surf photo books for Doubleday in the '60s, Modern Surfing and Great Surfing, and recently released Surf Fever through The Surfer's Journal. 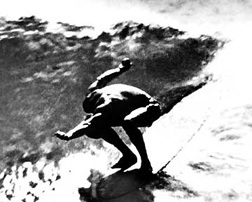 In 1960, The Surfer, a booklet crammed with Severson's highly evocative black-and-white 16mm frame grabs, a few pen-and-ink sketches, a couple of ads, and even a literate short fiction, hit the surf shops. 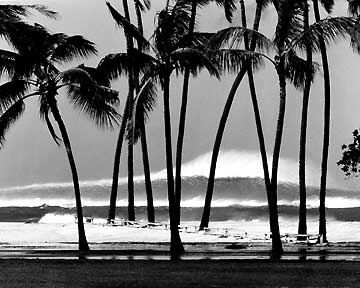 Within three years, it became Surfer Magazine, the bible of the sport.